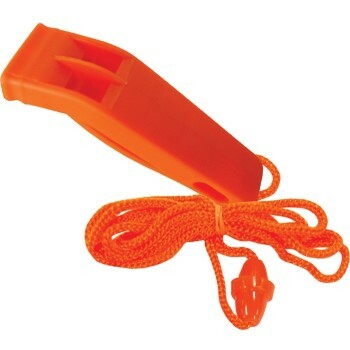 The Emergency Signal Whistle features a powerful, high-pitched, dual-tone signal. It is durable and waterproof and the pea-less design is ideal for use in the water. Comes with a 15 inch lanyard and integrated clip to attach to clothing or equipment for quick access. Design meets USCG/SOLAS specifications.